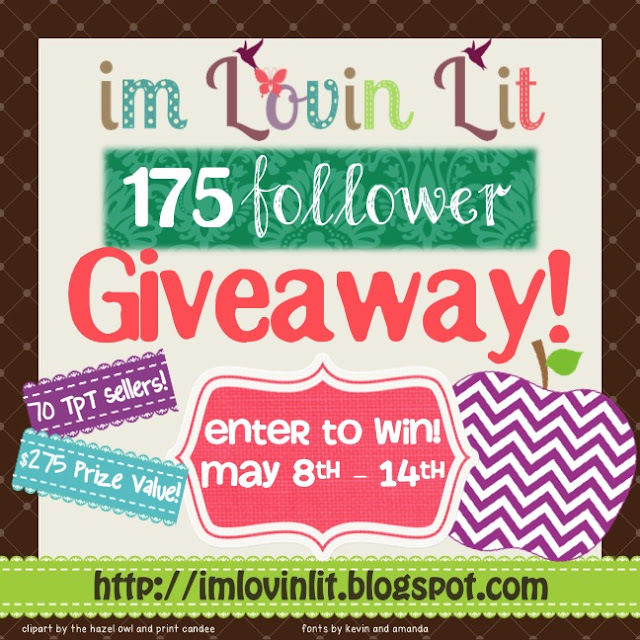 Erin, whom I like to call my bloggy twin, over at at I'm Loving Lit, is having a HUGE giveaway! You already know how much I love her blog, but her TPT products are also awesome. I've purchased a few and have even more in my shopping cart. I'm always really excited about the ideas I've "borrowed" from her, and I know you will be too! The great thing is that she's offering multiple sets for her giveaway, so no matter what grade level you teach, there's something just right for you. Head over to her blog and enter now!! On another note.. I actually *DO* have a twin named Erica! Just a little trivia for you. It's so amazing.. my entire life growing up, I was immersed in her life and she in mine, there was no getting away from her and no getting around being called the wrong name or just TWIN and now that we're adults, most people in my life don't even know that I HAVE a twin! Funny, I think you and I have more in common than my *birth* twin, LOL.